Jen graduated in 1998 from University of Concordia with her Bachelor of Science in Athletic Therapy. She then completed her Physical Therapy degree from UBC in 2004. From 2008 until 2016 Jen worked at Sungod Physiotherapy in Ladner BC, a busy private practice with an excellent reputation in treating sports injuries. Jen joined the team at Kamloops Physiotherapy in May 2016. 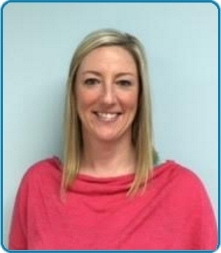 Throughout her 12 year career she has been dedicated to continued education obtaining post graduate credentials receiving her certificates in Vestibular Rehab (2007), Sport Physiotherapy (2007), Gunn Intramuscular Stimulation (IMS) (2011), K Taping (2011), Diploma of Advanced Manual and Manipulative Therapy (2012) and the Connect Therapy Series with Dr. LJ Lee in 2015. Jen has immersed herself in the athletic community working with teams like the UBC Old Boys/ Ravens Rugby, Surrey Eagles Junior A Hockey team (BCJHL) and Vancouver Giants Hockey team (WHL). Jen was selected to be a part of the host medical team for the Vancouver 2010 Winter Olympics covering the hockey venue. Jen is an avid cyclist (road and mountain) and snowboarder and loves softball and Yoga.